I really admire people who have close to nothing, but still have the hearts to help those in need. Just like the man in the photos below. A woman named Alicia was driving home in Arkansas when something in the road caught her eye. She saw an elderly man pedaling his bike. And when she passed by him, she noticed that the man’s bike had a makeshift trailer behind it. 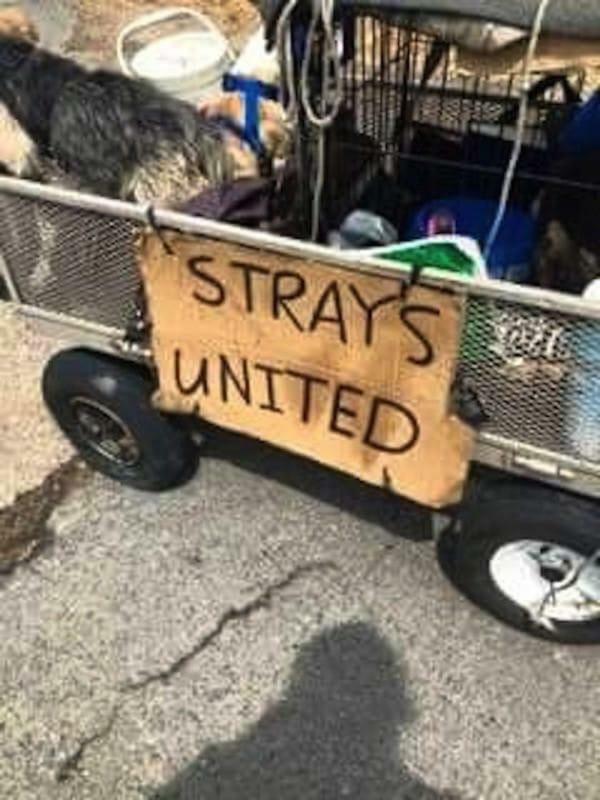 And in the trailer where a bunch of dogs. Alicia couldn’t forget the man and his dogs. She told herself that if she ever saw the man again, she would help him. And she did! Alicia stopped and talked with the man. His name is Steve and he has been homeless since 2001. And in those 14 years, he has been helping animals in need. 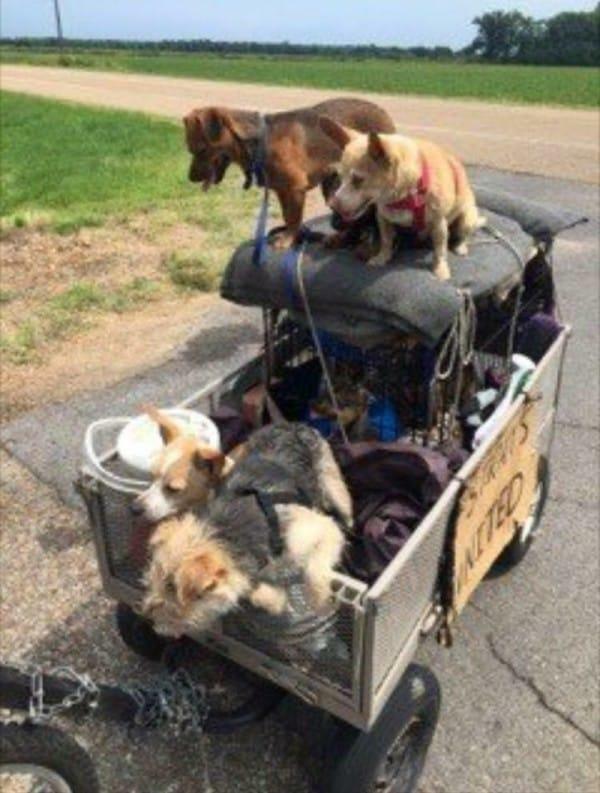 Steve and his dogs were on their way to see his girlfriend in Indiana. They journeyed 2000 miles and they were planning to camp out somewhere to rest for the night. The dogs have become more than Steve’s rescues. They were his friends, his family. They understood each other. Just like him, they had no home. So they found a home in each other. Alicia was touched by Steve’s story. So she and her mom spread Steve’s story through social media and reached out to animal advocates. Amazingly, in just two hours donations started pouring in. 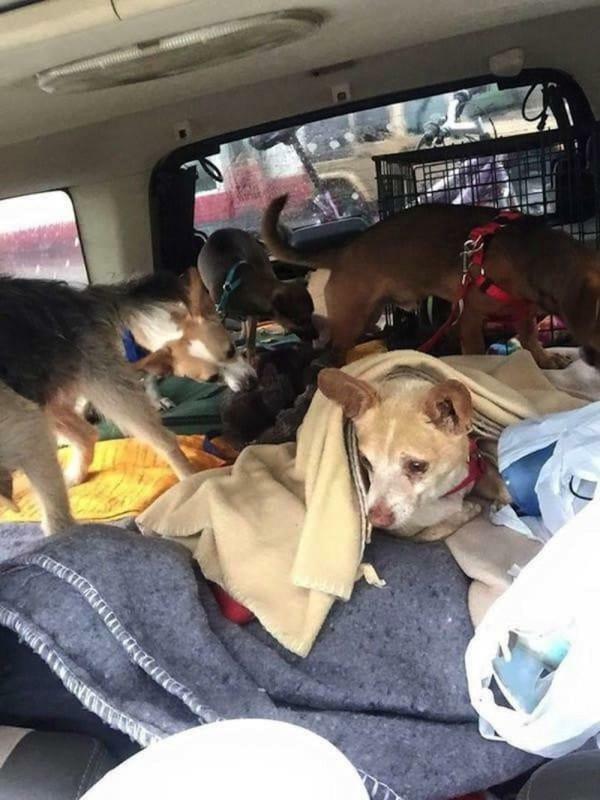 A woman named Kelley even volunteered to drive Steve and his family of dogs to Indiana. 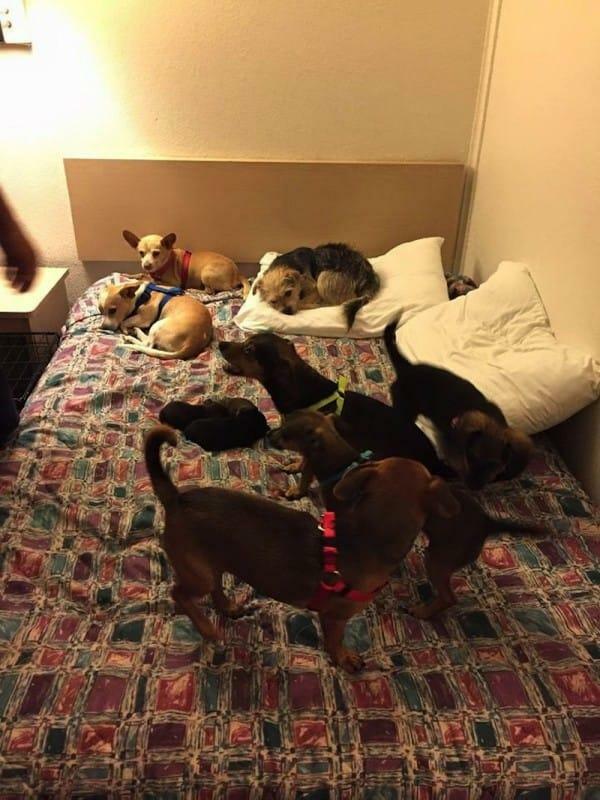 Instead of camping out, Steve and his dogs were given a motel room. There they were treated like kings and queens. They had food and a warm bed to sleep on. 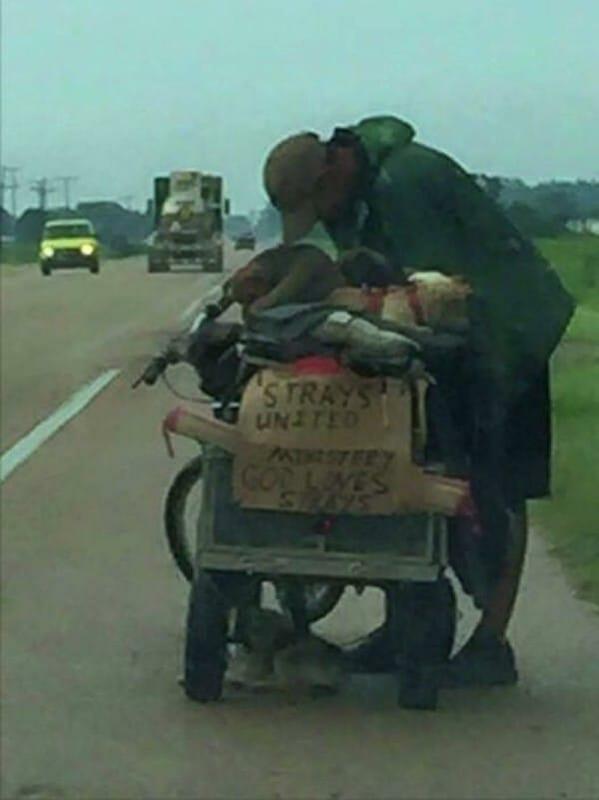 A woman named Angela who worked in an organization that helps homeless people and animals helped Steve and his dogs. Ever since she met them, Angela has been working with Steve and his dogs, helping them out in every way she could. 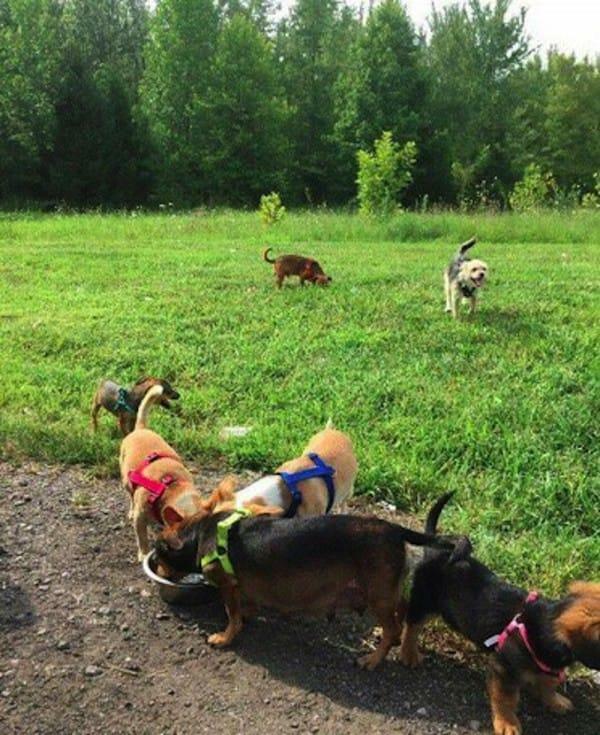 Steve was surprised by all the kindness that he and his dogs are receiving. His dogs are getting medical assistance, and will soon be spayed and neutered. And they will soon get a new trailer so they will never be homeless again. And to this day, he continues to keep in touch with Alicia and her mom. Thanks to Alicia and her mom, Steve and his dogs got the help they needed. With the power of social media, Steve and his family of dogs are safe and oh-so-happy! 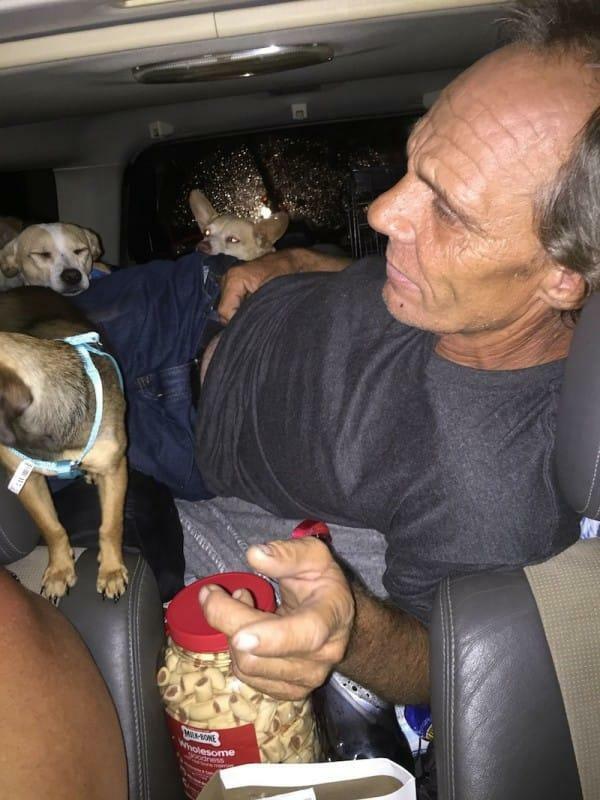 Without the combined help from the people who gave donations, Steve and his dogs would still be homeless until now. A million thanks to everyone who helped them out!